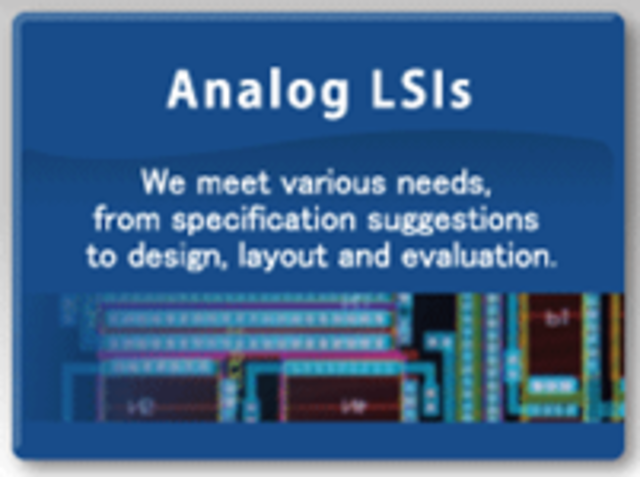 Analog LSI - Solutions & Services | Shikino High-Tech Co., Ltd.
We have accumulated extensive track records for high-speed I/F technology and power supply ICs. As well as our outstanding analog LSI design technlogy, through integrated handling by out team of experts (circuitry, layout and evaluaton), we contribute to the production of high-value added products (high quality and functionality). Fabrication: TSMC, UMC,GF, Major IDMs in Japan, etc. We have a wealth of development achievements in everything from individualized blocks to whole PHY units for various interface specifications such as MIPI, PCIe, USB, DisplayPort, DDR and LVDS. We have amassed achievements in everything from design to layout for advanced fine processes (including our overseas foundries), and also development achievements in everything from design to layout for RF circuits. We support CMOS processes, power supply voltage ranging from 1.5 V to 5.5 V and ultra low consumption currents ranging to 0.9 μA. We support bipolar processes and Bi-CMOS processes, power supply voltage ranging from 1.5 V to 25 V and frequencies up to 2 MHz. We support various customer needs from the specification proposals, design, layout to evaluation. 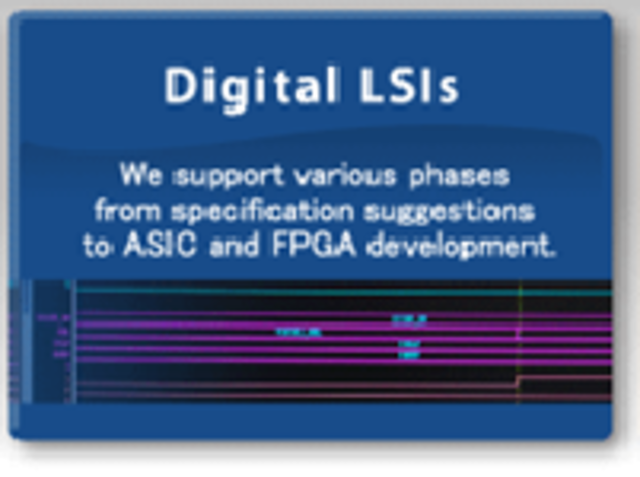 We deal with various design phases from the specification proposals to the ASIC/ FPGA development.